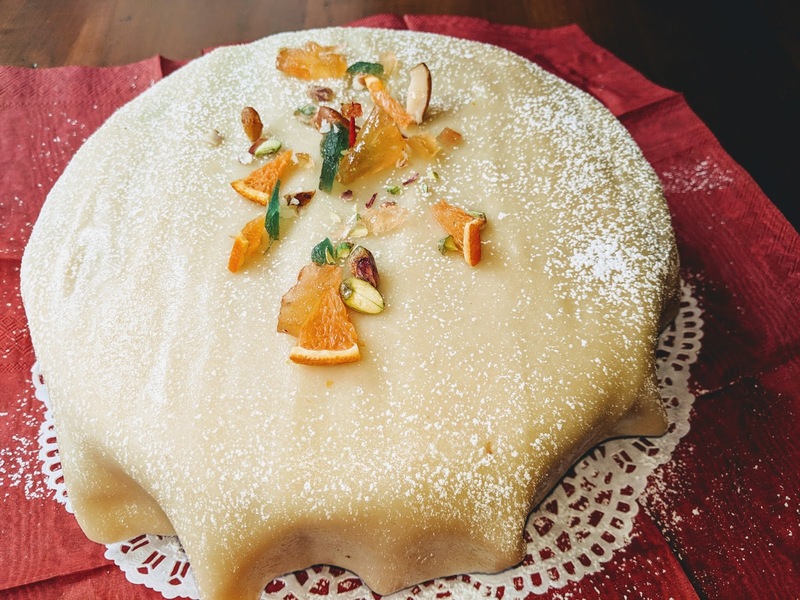 Growing up this cake was traditionally baked every year the New Years Day Annual Family Pot-Luck at home this cake particularly brings back a flood of good memories. Being such a favourite it was also prepared for my wedding by my own mother; one of the many requests we made off her!! I also remember helping my mum prepare this a couple of times before that for her best friends children's wedding! 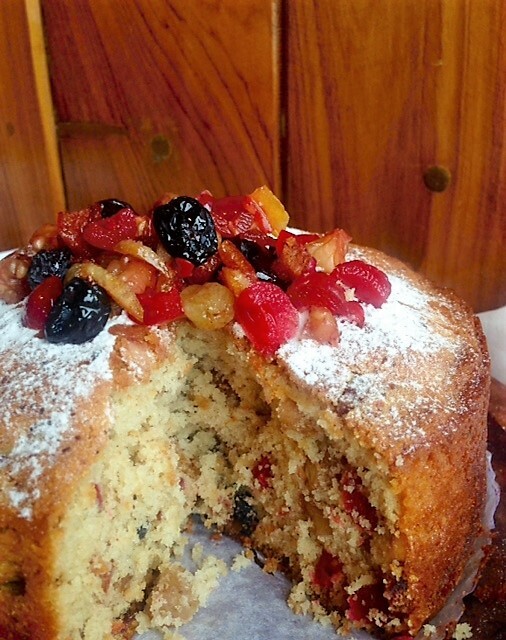 It really is a variation of a traditional fruit cake, a rather light one. It will come out golden coloured, has less fruit than most and has the texture of a tea cake. Using a good Scotch Whisky is key to the end result. Soaking prior to baking and brushing after are both very necessary steps. 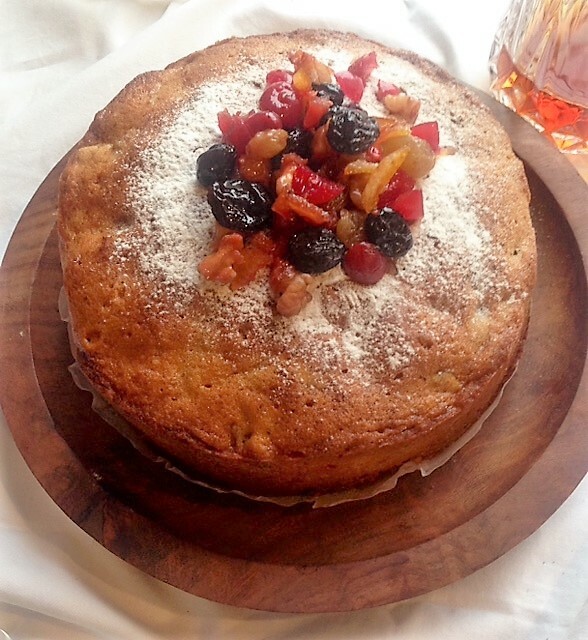 Last week one of my talented readers requested to teach her a good fruit cake. She posted these pictures on face book which started a stream of requests to share the recipe and so here it goes!! Add one egg a time while the machine is running. Now sift together and beat into the above mixture. Keep the speed of the machine at its very lowest. Do not over beat. Just allow it all to fold together. Add in all the soaked fruits also with the machine running on slow. Fold in once or twice with a spatula before pouring into the prepared pan. This quantity will make one large cake in a 12 cup bundt pan or two loaf pans or two 9 inch/27cm round deep pans. Bake at 350F/180C degrees for 75 minutes for the large bundt pan and 45 for the others. Checking the cake with a tester a bit earlier prevents it from drying out or over baking. Cool completely and then soak your muslin with 3/4th cup of whisky and wrap it all up. Then tightly cover with a foil and place in fridge. One week maturity gives it an amazing flavour. Alternately ice with marzipan while chilled so it is easy to handle and will cover well. To prepare the pan you will need 3 layers of brown paper at the bottom and butter the top one and the sides and flour the sides too. If your baking pans are nice and thick you do not need paper on the side. Photo Courtesy Kainaaz R Patell and Niloufer Mavalvala. 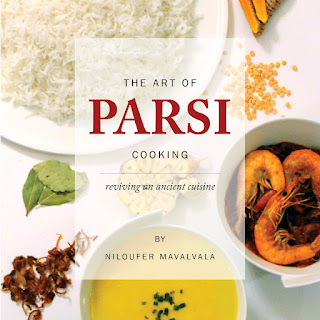 Meher Mirza Thx Nilufer Niloufer Mavalvala for ur recipe. my family is enjoying it they did not allow me to mature it also. Thank you for your kind words of appreciation. Kind regards, Niloufer.